If you’re looking for better options on car or homeowners insurance in Lake Charles Louisiana and the surrounding areas you have found the right company! Call 337-824-4455 or click on House Insurance Lake Charles for instant online rate quote on home or car insurance. Full Service + Better Options + One Agency – Jeff Davis Insurance Can Handle All of Your Insurance in Lake Charles Louisiana! It’s often not possible to have both your car and homeowners insurance with the same Insurance company in Louisiana. Jeff Davis Insurance Can Help Your With All of Your Insurance Needs! As a full service independent insurance agency Jeff Davis Insurance represents a large number of top rated companies offering Car, Boat, Motorcycle, Business, Life and Home insurance in Lake Charles. You can call our office at 337-824-4455 during normal business hours or you can receive online rate quotes 24 hours per day in five minutes or less when you click on this link: Homeowners Insurance Lake Charles. Why Are My Home Insurance Rates Going Up And What Can I Do about It? This is a question many policyholders may be asking; especially if you have noticed that your home premiums have increased once again. If you did receive a fairly large rate increase on your homeowners insurance in Lake Charles, call us at 337-824-4455 or click on Home insurance quotes to receive an online rate quote. Jeff Davis Insurance offers an Insurance shopping Service that is guaranteed to help you keep your insurance premiums low for life. This is a very important service, especially for those shopping for homeowners insurance in Lake Charles and the surrounding areas. Prices for homeowners insurance in our area are the second highest in the entire country! We Can Help You Save Money on Lake Charles Home Insurance! The principal reason why we are the best place to begin shopping for home insurance in Lake Charles is based on the large number of companies we represent. 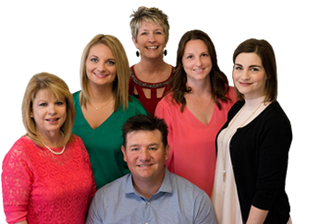 Independent insurance agents in Lake Charles are not restricted in offering homeowners insurance with only one company as is true of some of our competitors. More choices equal better options when shopping for home insurance in Lake Charles and the surrounding areas! Call 337-824-4455 and Speak to Jeff Davis Insurance Today for Better Insurance Options. Or for an online rate quote in 5 minutes or less click on Home Insurance Lake Charles.